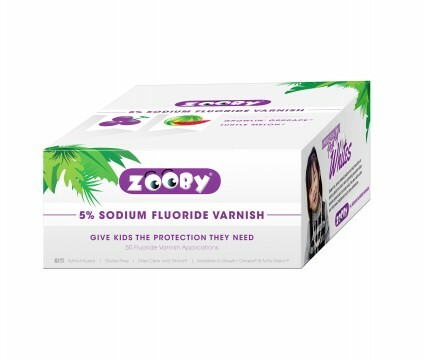 Made with xylitol, Zooby 5% Sodium Fluoride Varnish is designed to give kids the protection they need and treat hypersensitive dentin. Zooby varnish is white and dries clear and smooth with a saliva-tolerant formulation for easy application and adherence to moist teeth. Offered in 50-count boxes and two gluten-free, kid-friendly flavors that match Zooby paste.